This not about my life as a house-husband but to draw attention to my addition of two new pages to this blog: Contact and Events. Regarding contacting me. I don’t mind getting invitations to art exhibitions, but don’t expect to see me there. If you are an artist and I have told you to please invite me to your next exhibition I really do mean it. On the other hand I hate the pushy publicists who think that my blog is just another promotional platform for their message. I wish that this wasn’t the main reason that people contacted me. I go to openings partially to look at the art, to schmooze and drink wine – in that order. It gets difficult to look at the art after awhile because there are so many people standing around drinking wine and talking. It is kind of pointless talking to the artist at an exhibition opening with so many people saying hello and congratulating them. My strategy is to arrive early and look at the art before most of the people arrive – the flaw to my strategy is that I left before the late arrivals. The first event off the rack is a series of sculpture tours that might become a permanent event. 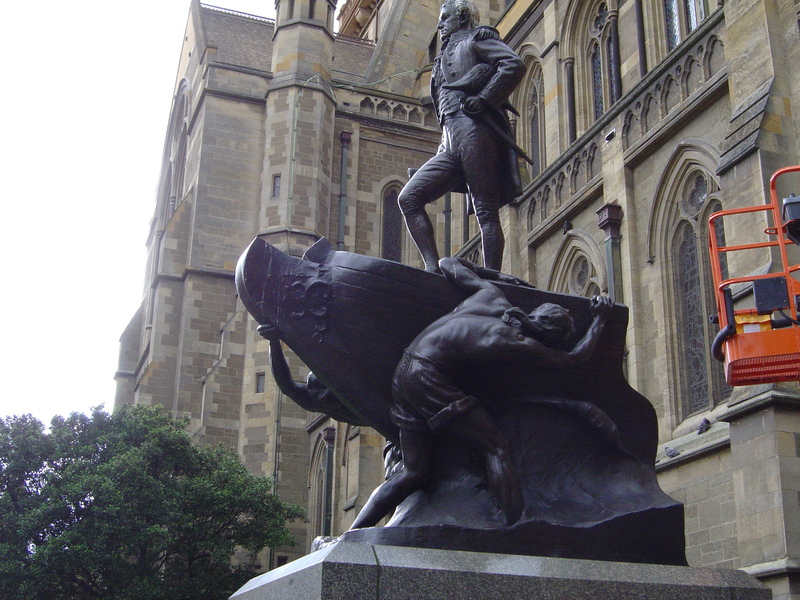 As regular readers would know I write a lot about Melbourne’s public sculpture, now I have put together a tour of a selection of them. For more information see Events. Other events will follow; talks, panel discussions and a book launch. If you want me for tours, panel discussions or other events see Contact. This entry was posted on Tuesday, October 9th, 2012 at 3:06 PM	and tagged with exhibition openings, Melbourne, Public Sculpture, walking tour and posted in Blogging, Public Sculpture. You can follow any responses to this entry through the RSS 2.0 feed.